TFSource 3-10 Weekly Source News! 3rd Party War Rages On! 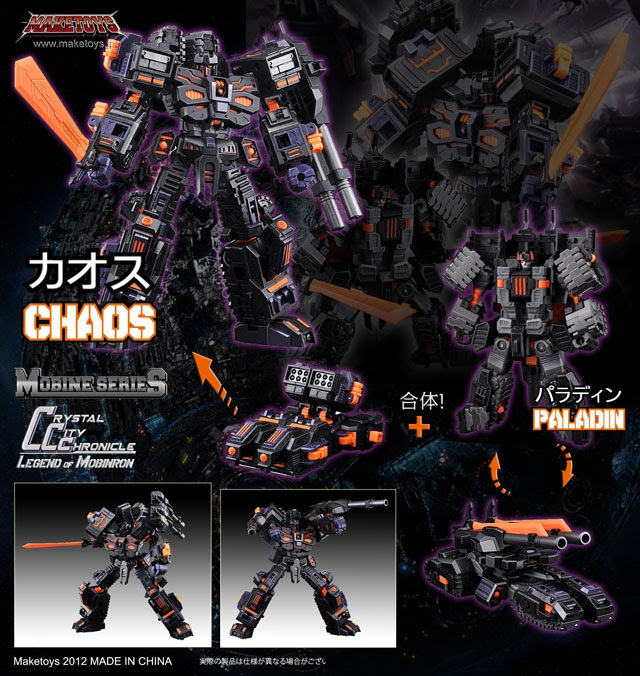 The 3rd party war rages on with preorders for both Before and After Six Sigma US & Japanese versions and TFC Toys – TFC-009 Gear Of War 3! Both look awesome and will look even better with your Generations or Takara Metroplex! We also have new preorders for items like Microblaze Creations – MBC002 Military Titans, Kabaya – Assortment 8 – Candy Toys – Assorted Box of 8, and MECH iDEAS Gauntlet and Piston. We also have some great instock items like iGear Shark Attack Squad, iGear Leader of the Shark, a restock of some popular items including Toyworld Brainwave and Trace, MP-12T Tigertrack, Planet X – Genesis and More! Be sure to check out the Source Blog for our latest Source Articles, Reviews and Interviews! All this and more… in this week’s SourceNews! 1. 3rd Party War Rages On! 2. Now up for preorder – Microblaze Creations – MBC002 Military Titans! 3. Now up for Preorder – Kabaya Series 8 Kits! 4. Now instock – iGear Shark Attack Squad and Leader of the Shark! 6. Fansproject Revolver Instock, Diesel and Quadruple-U Restocked! 7. Masterpiece Updates! MP-12G G2 Sideswipe Instock! 8. MECH iDEAS Gauntlet and Piston Now up for Preorder! 9. Loyal Subjects – Recolor Exclusive Preorders Up! 10. New Make Toys Preorders! 11. Mania King back up for Preorder! 12. Transformers Generations New Instock and Preorders! 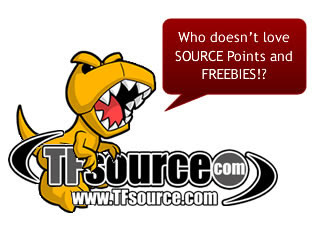 TFsource – Why go to the store when you can go to the Source! Now instock: MP-12G G2 Version Sideswipe! Includes unapplied retro G2 stickers, bonus weaponry inspired by the G2 comic book and more – order yours from TFSource today! Preorders for MP-22 – Masterpiece Ultra Magnus – With Perfect Edition Trailer are now live! Note: Pricing is not finalized and is estimated, if pricing is reduced at a later date all preorders will reflect the updated pricing so there is no risk in preordering! Additionally all information is tentative, once final product photos and pricing is available we will update the listing to reflect this. Preorder yours today! TFsource – Your Source for Loyal Subjects Figures! Keep in mind with all Make Toys product there will be limited stock so we recommend preordering early! For those that don’t have the Omega yet, you can preorder both together. The Armageddon add-on kit is quite large and comes with a lot of pieces to upgrade your Omega Supreme! Unique Toys G02 – Sharky – Set of 3! theToySource – Your Source for Bandai Collectibles! theToySource – Your Source for Game of Thrones Legacy Collection Figures! You can view Part 1 by clicking here. Simply scroll down the page and click play on the video! We know may are curious on how this piece looks in its final form so check it out! Reformatted – R-02 – Talon the Aerial Assaulter! Fansproject – Causality CA-09 Car Crash! Transformers GT – Super GT – GTR-04 Maximus! Encore #23 – Fortress Maximus!